COMING UP SOON IN JUNE 2018! 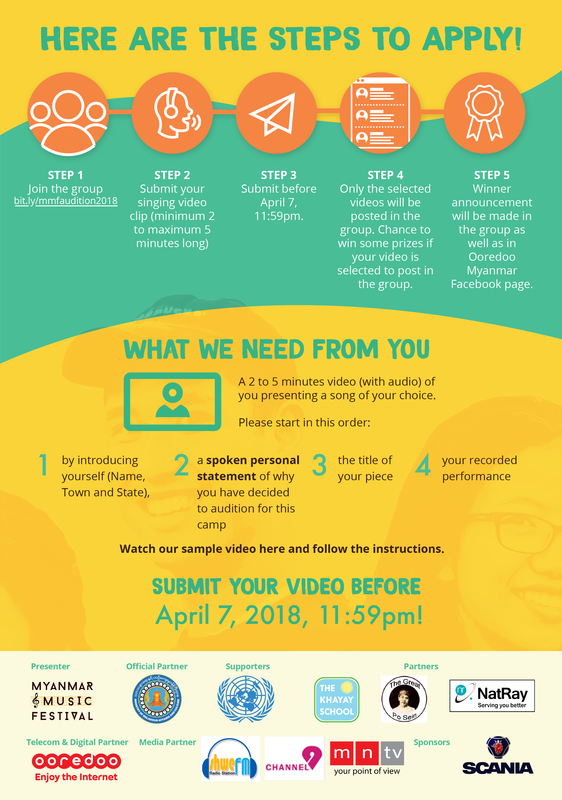 Myanmar Music Festival are calling vocalists from all over Myanmar to audition to be part of our special and inspiring music camp “Let your voices be heard!” 45 vocalists from all 15 states and regions around Myanmar will be selected by an outstanding jury to be part of MYANMAR’s NATIONAL CHOIR and spend one week (June 11-18) immersed in music education and performance training with international artists from Asia and North America. 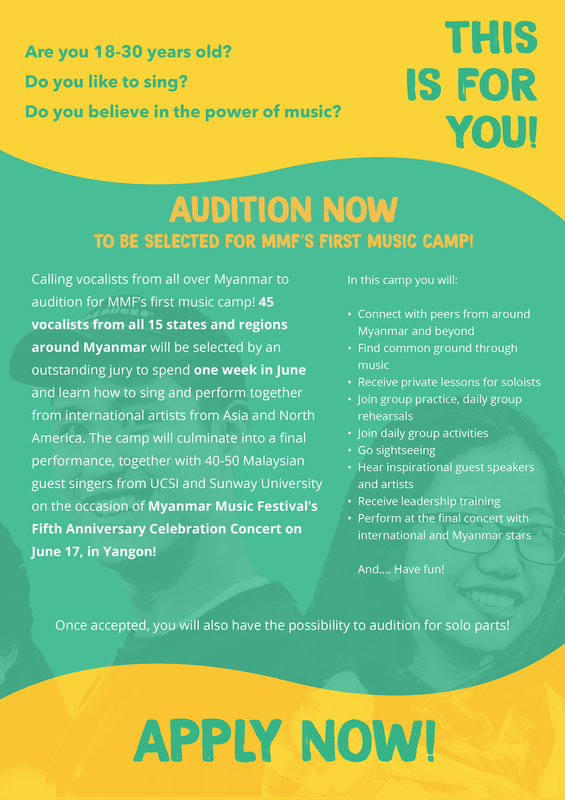 The camp will culminate in a final choir performance of the first national Myanmar choir, together with 40 Malaysian singers from UCSI and Sunway University on Myanmar Music Festival’s Fifth Anniversary Celebration Concert in Yangon on June 17 at the National Theater of Yangon! The choir will join other international and Myanmar artists on stage. Results will be announced in early May 2018, stay tuned!